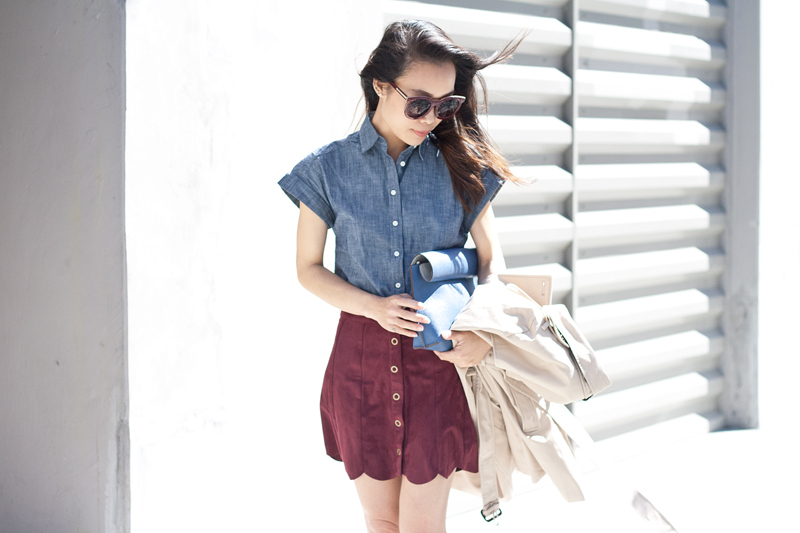 I love a good trench coat, especially for Spring. This classic trench by Banana Republic is a perfect transitioning piece. Simple and timeless, with exceptional details... notch collar, button-tab cuffs, epaulettes, and double breasted closures. I paired it with a cuffed chambray top (also by Banana Republic), a lovely scalloped suede skirt, and a pair of loafers for a New York inspired preppy look. 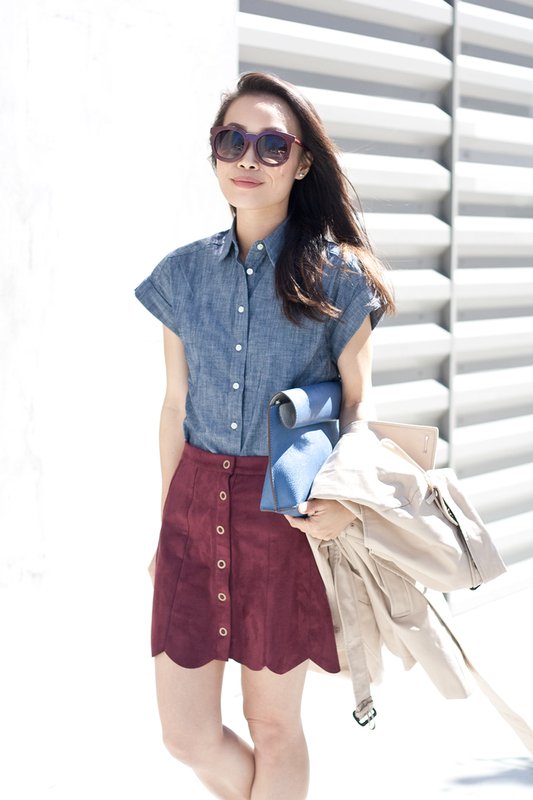 This is definitely my go-to Spring look, what's yours? Classic trench coat c/o Banana Republic. 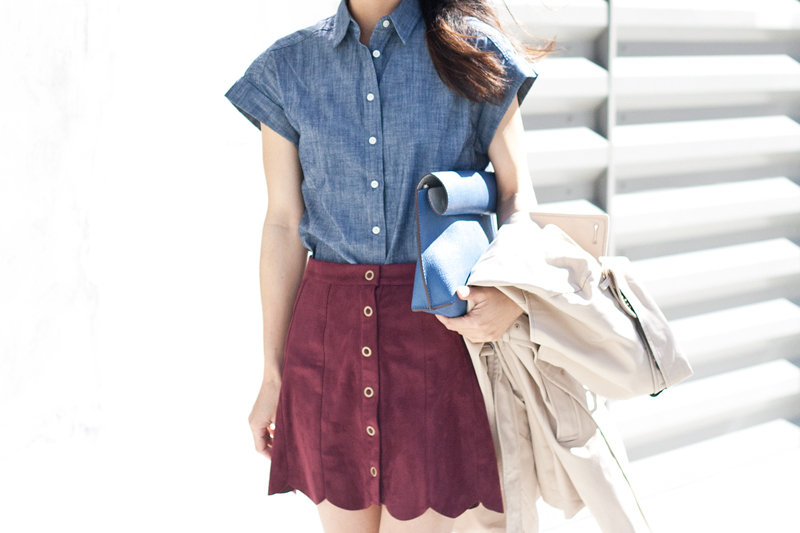 Cuffed chambray top c/o Banana Republic. Scalloped suede skirt by Kendall & Kylie for PacSun. Loafers (old) from Old Navy. Rolled clutch from Le Tote. Say hello to my new favorite bag... 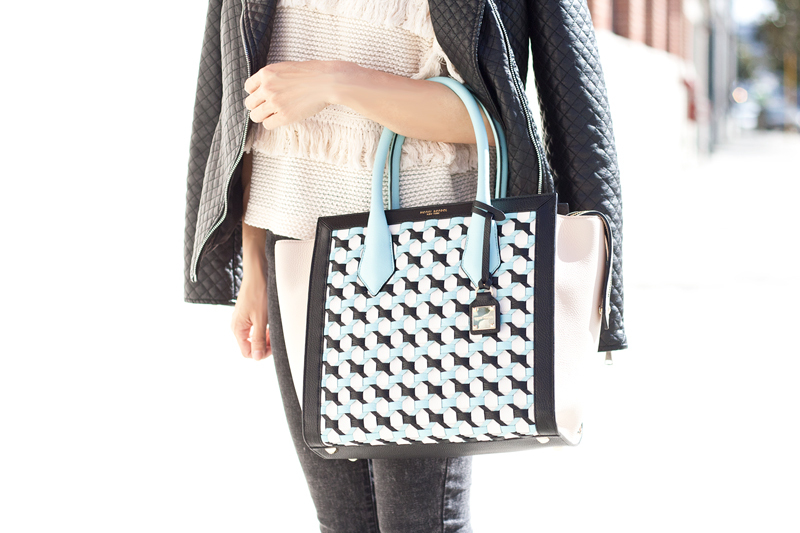 The Rivington woven tote by Henri Bendel! I love the neutral combo of taupe and black with a pop of robin egg blue. The intricate woven leather details is absolutely gorgeous and the size is just perfect for carrying all my necessities (including my DSLR) around! Lately, I have been keeping my looks quite simple, much like this... fringe knit top, leather jacket, denim, and mules. I am enjoying this warm Spring weather, are you? The Rivington woven tote c/o Henri Bendel. Fringe knit top from F21. Quilted leather jacket (old) c/o F21. Acid wash denim by Just USA. Mules (old) c/o Charlotte Russe. 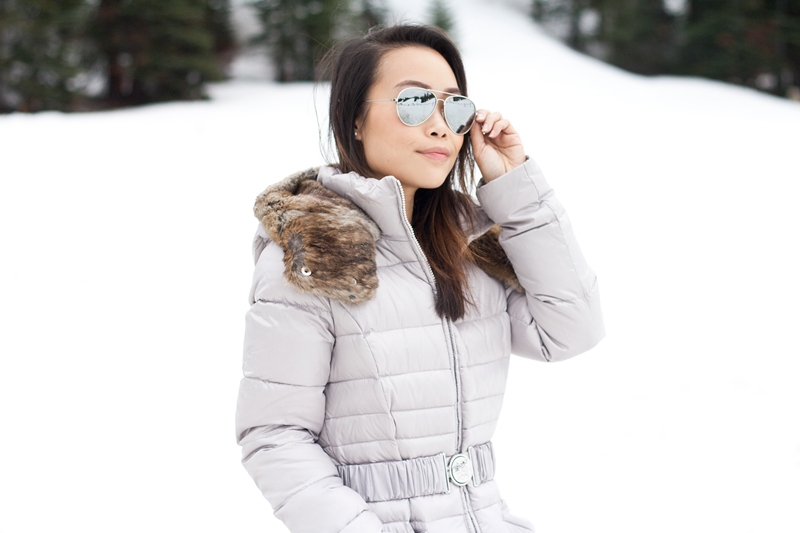 Aviator sunglasses c/o Charlotte Russe. 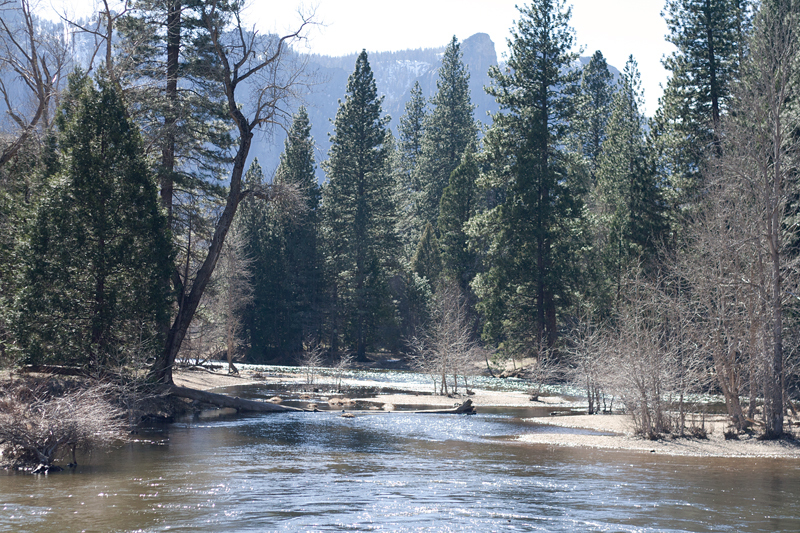 Alas, here is the final Yosemite post! 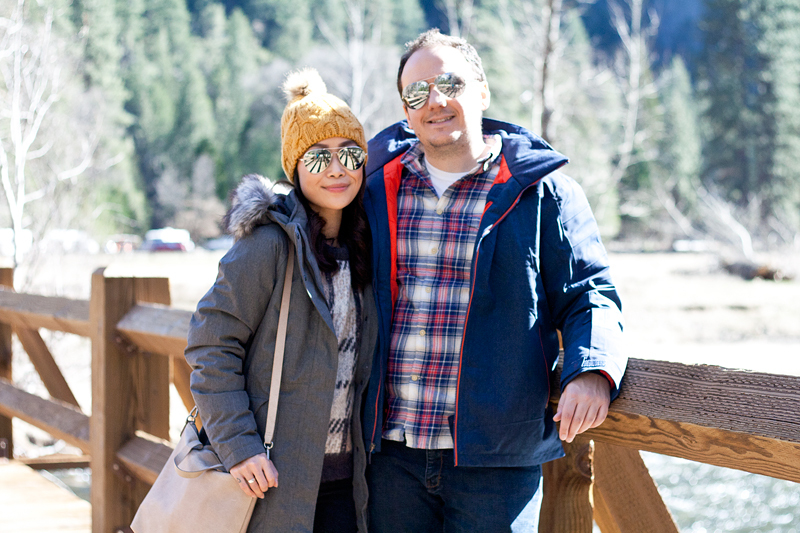 We explored all over Yosemite Valley in our awesome jackets by The North Face. I am wearing the Arctic down parker and Chris is wearing the Owen jacket. 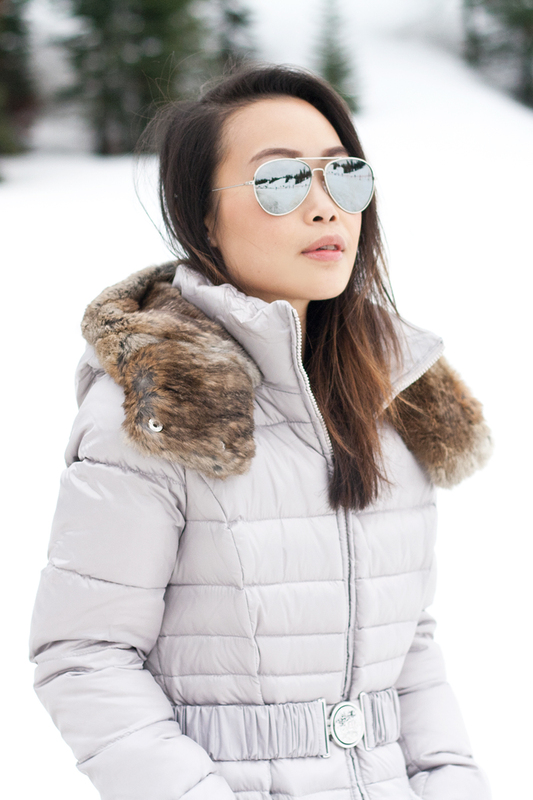 I love how "puffy" yet light mine is, not to mention the lovely faux fur trim. And he is really intrigued by all the zippered details throughout his jacket. 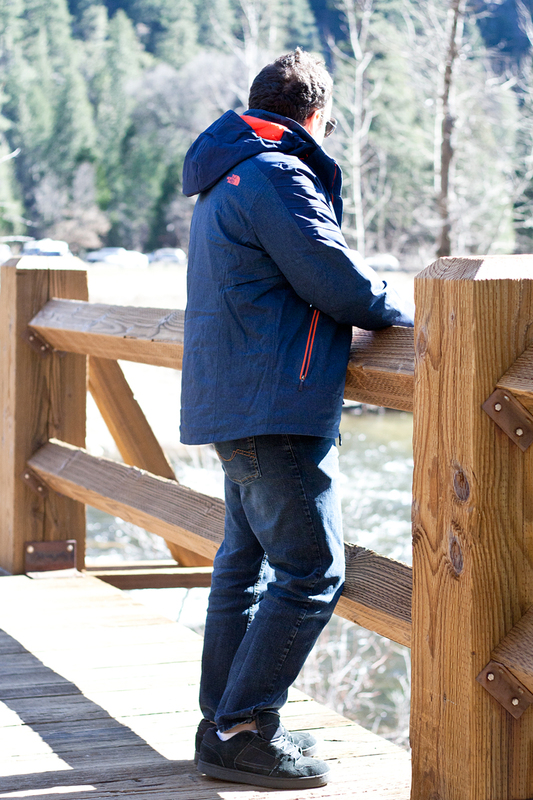 Thank you The North Face for keeping us warm and stylish while exploring the outdoors! On her - Artic down parker in graphite grey heather c/o The North Face. 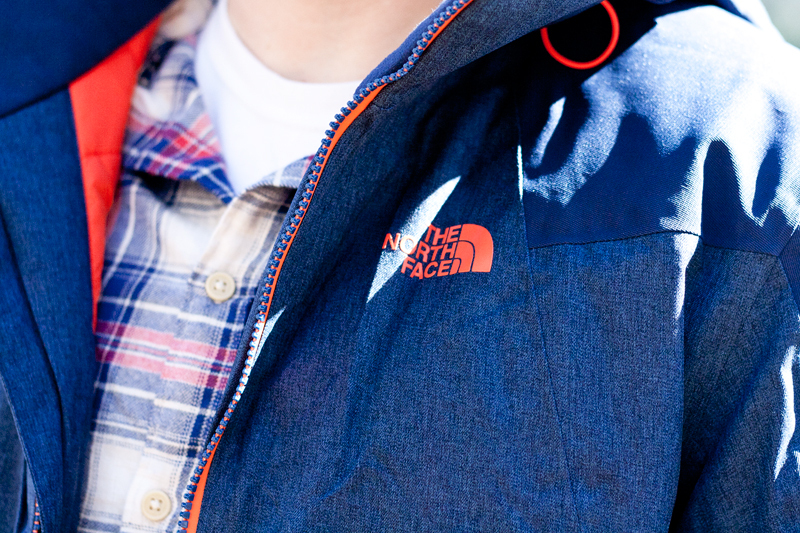 On him - Owen jacket in cosmic blue heather c/o The North Face. 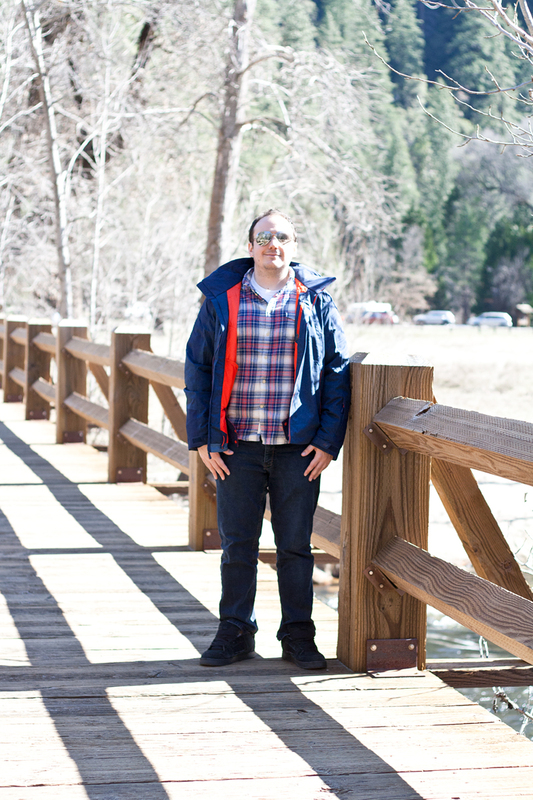 I was not lying when I said I've got tons of photos from Yosemite (one more set after this)! 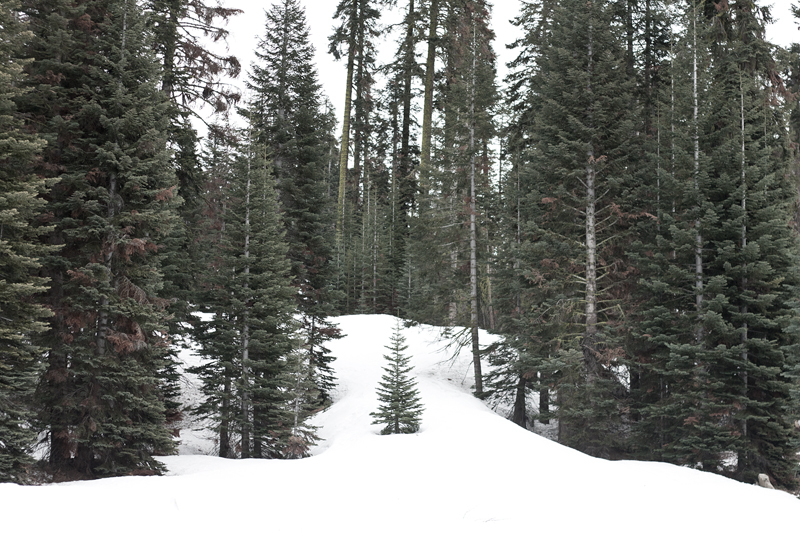 To my surprise, there was quite a bit of snow up in Yosemite's ski resort, Badger Pass. 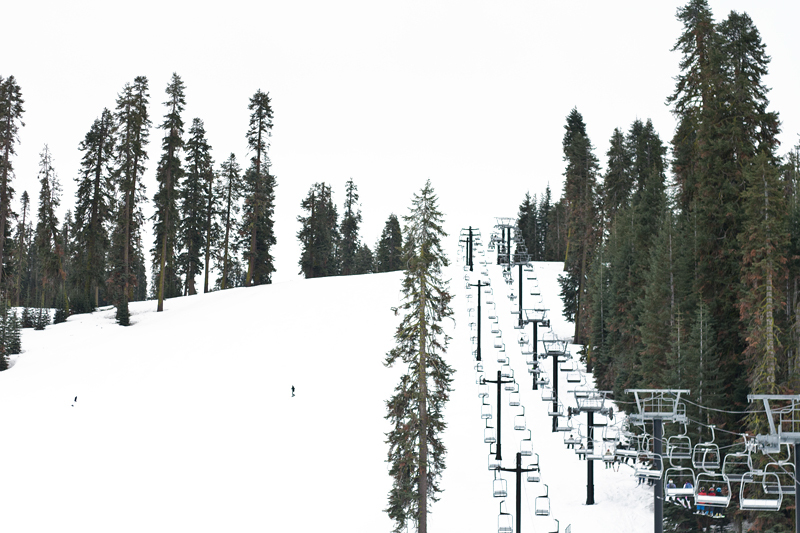 Snow did not literally fall from the sky but there was enough snow for people to ski, skateboard, and sled. 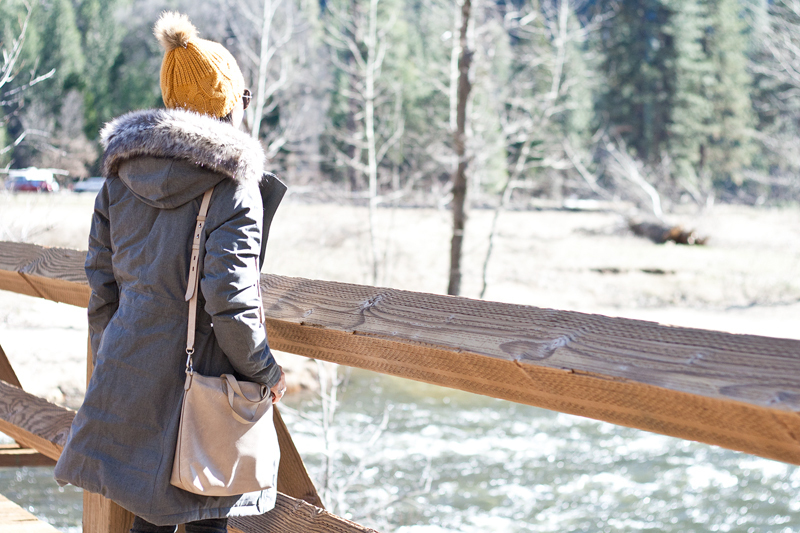 It wasn't very cold either, but still a little chilly, and this quilted puffer jacket by Dawn Levy was perfect. Light enough so that I wasn't cooking in it, but cozy enough to keep me warm. I love the light pewter color, especially against the snow! 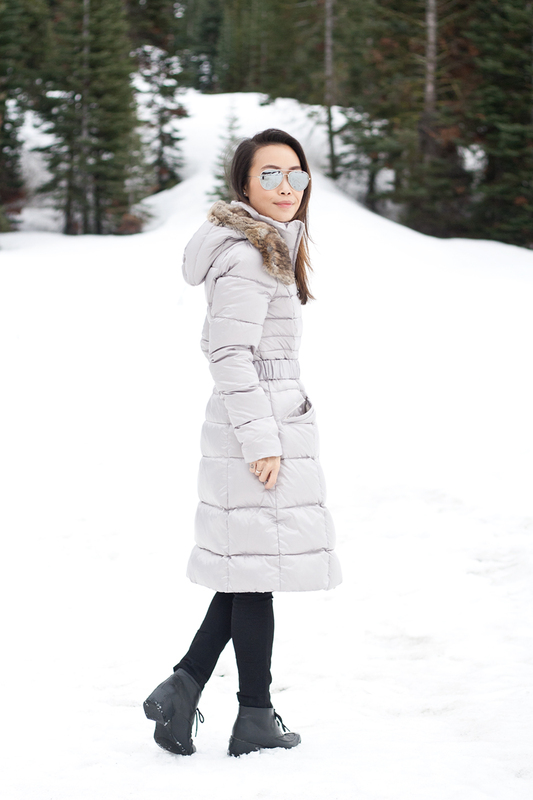 Sabine quilted puffer jacket c/o Dawn Levy. 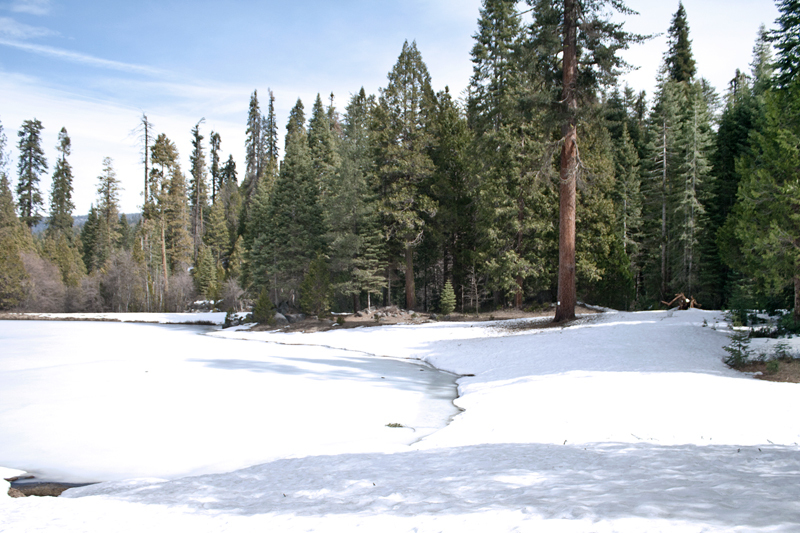 I had mentioned, in my previous Yosemite post, that I was a little bummed it didn't snow. 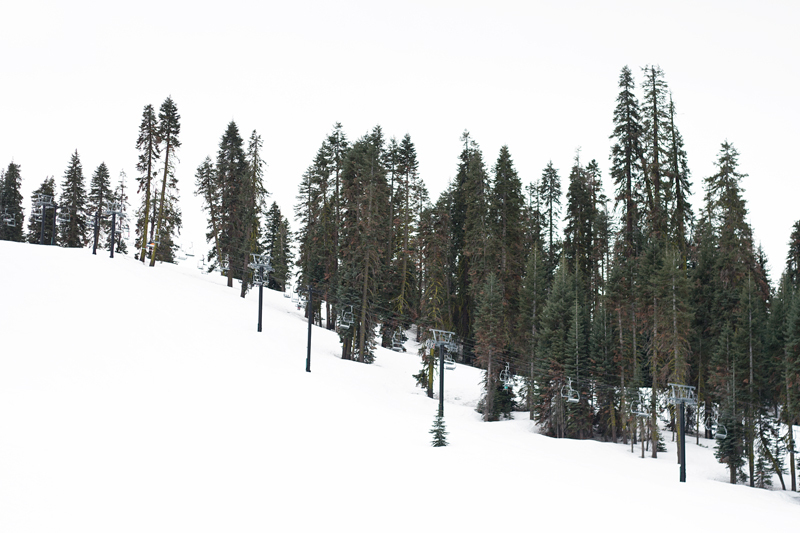 There was however patches of snow here and there, so I shouldn't complain too much. 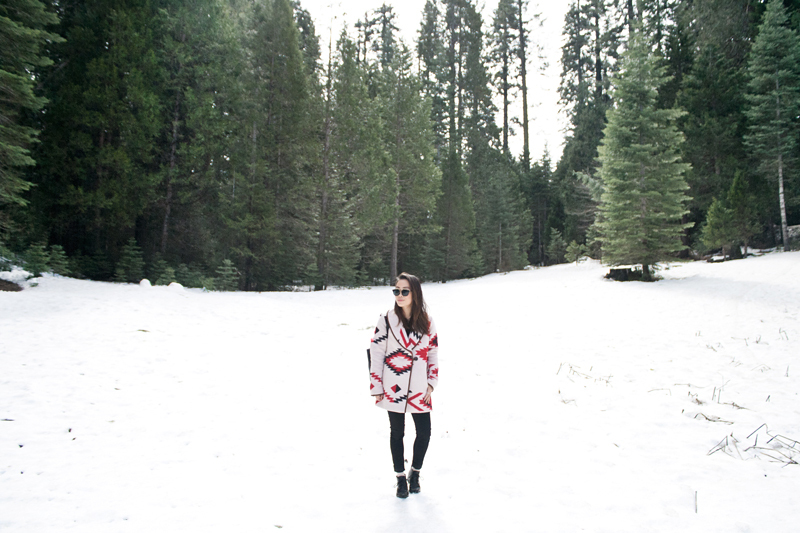 I had just gotten this Wander with Me tribal/southwestern print blanket coat the week prior and it was perfect for my trip. Warm enough to brace the chill and coincidentally matches the resort I stayed at perfectly. I especially love the soft blush tone and the leather trim. 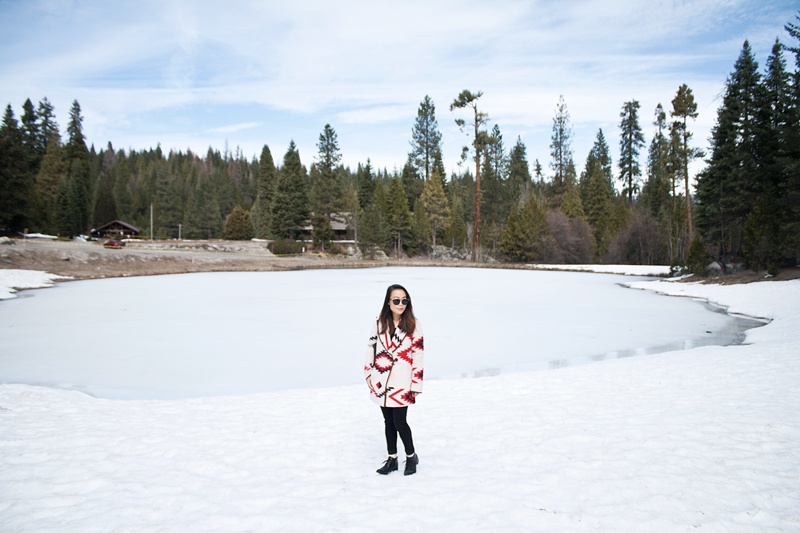 We wandered around this blanket of snow near a frozen lake one morning with the coldness underneath our feet while the warm sun touched our skin. We didn't do much, which explains why it was so great. 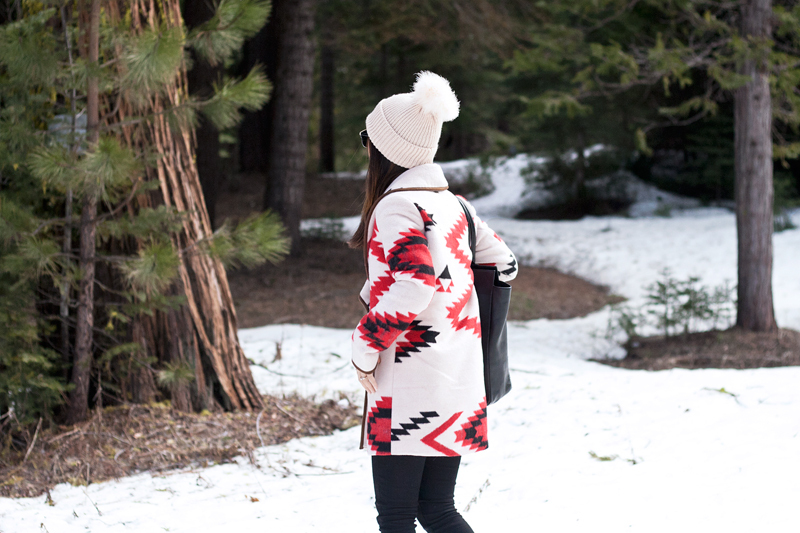 Wander with Me tribal print coat from PacSun. Blush pom pom beanie c/o F21.